The Winship Cancer Institute (WCI) of Emory University is the only medical facility in Georgia with the prestigious National Cancer Institute (NCI) designation. Winship offers patients and families a wide range of resources, covering medical oncology, radiation oncology, surgical oncology, pulmonology, complementary therapies and social services. Its researchers and clinicians come together to work tirelessly toward the prevention, treatment and control of cancer, producing multidisciplinary programs for today while laying the groundwork for tomorrow’s advances. More than 17,000 patients are seen each year at WCI — mostly from Georgia and throughout the Southeast — a testament to the compassionate and comprehensive care that has made it one of the top centers in America. Winship proudly displays the core values that guide staff and faculty as a commitment to every patient they see. Those values include courage, compassion, collaboration, discovery, hope, innovation and integrity. As an academic medical center, Winship has access to the latest discoveries in cancer-cell biology and genetic testing, providing the pathways to the most up-to-date technology and therapies. In 2017 alone, investigators at Winship conducted 250 therapeutic clinical trials involving more than 700 patients, working toward the development of more effective treatments. Committed to providing the best treatment for all types of cancer, the Winship Cancer Institute also has recruited some of the world’s most prominent cancer researchers and physicians. WCI boasts a leading team of oncologists and thoracic surgeons devoted to lung cancer and mesothelioma. Dr. Seth Force is the surgical director of the Thoracic Oncology Program and the Adult Lung Transplant Program at WCI. He is the lead surgeon in cases of pleural mesothelioma. Dr. Dong M. Shin is a medical oncologist and researcher, working to develop biomarkers that lead to more targeted therapies. Shin’s research has produced positive results in the treatment of pleural mesothelioma with a combination of chemotherapy and vitamin supplementation. Dr. Suresh Ramalingam is hematologist and director of the Division of Medical Oncology and the Lung Cancer Program at WCI. 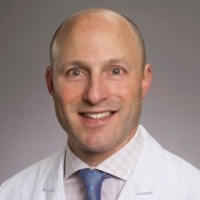 He also is the leader of WCI’s Discovery & Developmental Therapeutics Program and the chair of the Thoracic Malignancies Committee for the Eastern Cooperative Oncology Group, one of the largest clinical cancer research organizations in the United States. Dr. Rathi Pillai is a medical oncologist who works closely with mesothelioma patients. As a member of the Discovery and Developmental Therapeutics Research Program, she is involved in several clinical trials. One of her latest trials is exploring the immunotherapy combination of Opdivo (nivolumab) and Yervoy (ipilimumab) in treating advanced cancers such as mesothelioma. Not only does WCI benefit from the support of the NCI and Emory University, but it also receives more than $28 million in annual funding from nine esteemed organizations. WCI’s partnership with Georgia Institute of Technology has developed into one of the leading bioengineering and biomedical research programs in the United States. Cross-cutting initiatives like this pool the talents and resources of Winship researchers and leaders of innovative technology to improve patient care and save lives. Disclaimer: Winship Cancer Institute of Emory University has no professional affiliation with Asbestos.com. Emory Winship Cancer Institute. (n.d.) About Winship. Lung Cancer Patient Information at Emory Winship Cancer Institute. (2011). Message from the Winship Cancer Institute Executive Director. (2011). Winship Cancer Institute - National Cancer Institute Designation. (2011). National Cancer Institute -Winship Cancer Institute of Emory University. (2011). Winship Cancer Institute Research Programs. (2011). Newsroom, Winship Cancer Institute. (2011, September 12). Winship Researcher to Chair Prominent Clinical Trials Committee [Press release].